See How Denim-Lovers In Manila <i>And</i> Cebu Party! 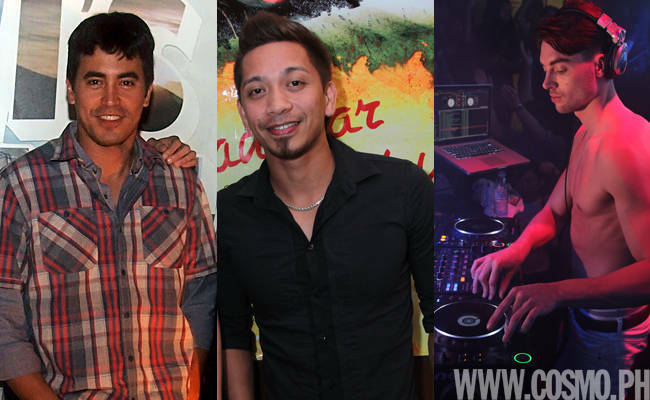 See How Denim-Lovers In Manila And Cebu Party! Partygoers in Metro Manila and Cebu bring back jeans as a hot nightout fashion staple. With such a wide range of fashion choices now made available for women around the country, Pinays have become more experimental with their wardrobe, particularly when we glam up at night. Women who used to be okay with going to a club in jeans and a nice top now go for unique skirts, dresses, and even more bongga tops. Until now. Denim brands are now challenged to bring back their space in the clubbing outfit scene, and they have succeeded. Levi's recently introduced its latest, Roadwear Collection, with two parties: not just in Metro Manila but in Metro Cebu as well. The first party was held at the Palladium Club in New World Hotel, Makati. Music was provided by two of the hottest DJs and supermodels in the world, London-based DNile and Scottish Catherine McQueen. Local celebs like Tim Yap, Alyanna Martinez, JM Rodriguez, and Jake Roxas were spotted dancing the night away in their clubbing outfit of choice. Just a couple of days later, the party moved to the Penthouse, IT Park in Cebu, where DJs DNile and Catherine McQueen continued to rock the house of the hot beach city. The Cebuano revelers were in for a treat, as select partygoers got the chance to go up on stage and dance with the DJ-supermodels. In attendance were actor Jhong Hilario plus prominent Cebuano media personalities. Launch the gallery to view celeb photos and see how Manilenos and Cebuanos party differently--or similarly, for that matter.